We are providing the competent hr advisory services to our clients who are located in international locations. At Alliance International, we have been into hr consultancy services right from the initiation of our professional services. We are specialized as hr advisor Dubai due to our expertise in the services for the Middle East. Alliance International provides automated HR solutions to international as well as companies across all vertical as a disciplined recruitment solutions provider with a competent team in place. 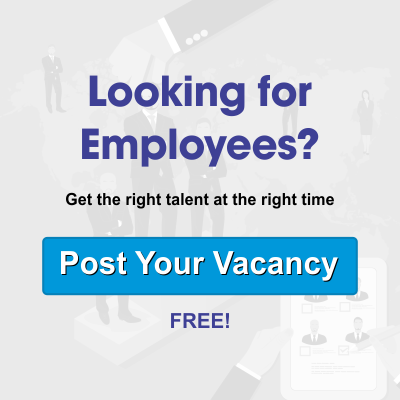 Online HR services: We provide an organized as well as simplified management system of all your HR activities centrally with time management and real time automation on portals as an HR outsourcing service provider. Payroll Services: As your trusted accomplice in business HR services, we provide comprehensive support with payroll management in an accurate manner removing any redundancy in the processes. HR for new business: We provide our support to new business and start-ups providing a 360 degree support right recruiting and sourcing to payroll management as a managed HR solutions partner. HR Management: Right from formatting and processing of CV to solutions in staffing, training and sourcing, we are your preferred one stop solution with an experienced team of HR executives. If you require HR advisory services in international locations such as the Middle East, we can do it for you. We are providing our advisory services not only to the clients who are located in the country. We are ready to provide the services even at international locations and for companies which have locations anywhere in the world. Our team’s endeavors will pioneer your business acceleration in the right spirits and direction. We have a rich experience in the job of HR advisory services. We can provide the right guidance to many issues related to the HR field. Our employees who would be working for you are qualified HR professional themselves. They have a good number of years of experience in working with different industries. They know the minutest details for facing the varied HR issues in an industry. We are very professional in our approach and we are very systematic in our process. We know that delay in the HR processes can affect the course of the entire business process. Our experts ensure that no such delay occurs from our end. We set a timeline before the initiation of the services. We abide by it strictly. At Alliance International, we also deliver within the schedule. We maintain the quality of the service to the fullest. It is the quality of our jobs that has earned our present name. We cannot let it go due to any callous nature of delivery. We have a quality monitoring team that has the responsibility of regular quality checking of all our services. Our organization is always open to suggestion for improvement. We always strive to improve our services continually. We never charge too high for our services. At Alliance International, we know that this type of services is not a one-time job. We have to partner with industries constantly. We always try to keep our rates affordable so that making partnerships become easier. W aim for total customer satisfaction. This is achieved with the levels of dedication and commitment by our employees. We never thing of the assignments to be that of clients. We take it up as objectives that we have to fulfill as our job role. This makes us give our nest which results in total customer satisfaction.